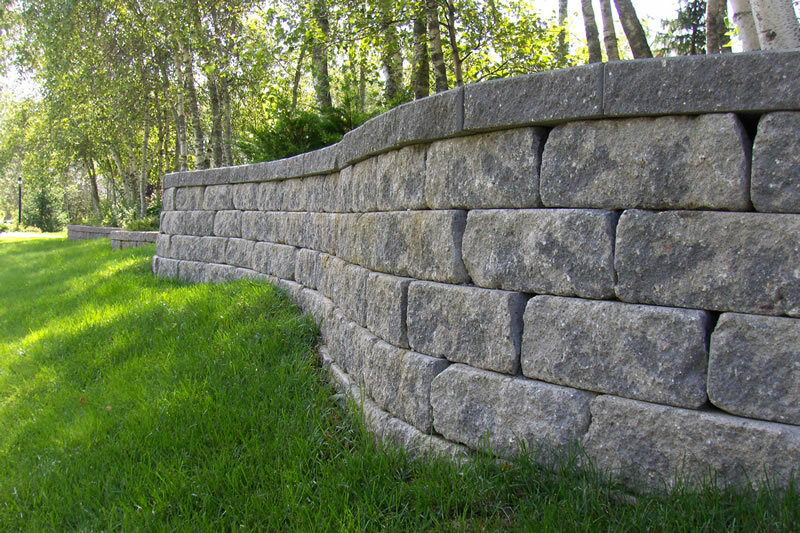 The Versa-Lok retaining wall system is an attractive offering for commercial and residential customers. Known for durability, design flexibility, and ease of installation, the Versa-Lok system can be used for anything from at home landscaping projects, to commercial walls in excess of 50 feet tall when properly engineered. Versa-Lok blocks are versatile, and can be assembled by hand to form straight walls, corners, curves, columns, and steps. Available in both Standard and Weathered units, Versa-Lok is designed for functionality and appeal, adding value wherever it is installed. Versa Lok can also come in the Mosaic system, which utilizes Versa-Lok units of varying heights and widths to achieve a random-like pattern that closely represents natural stone walls. 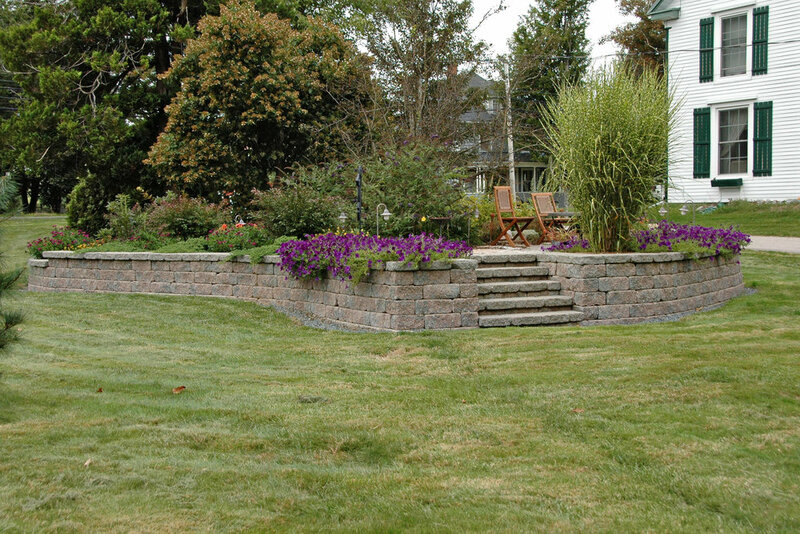 Mosaic retaining walls consist of three units: Standard, Accent, and Cobble.